Hi guys! 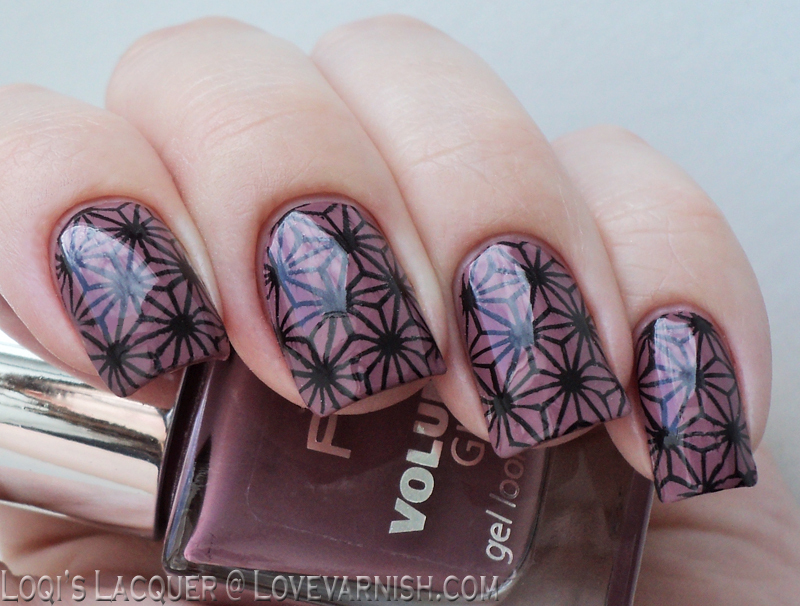 Even more nail art, yay! 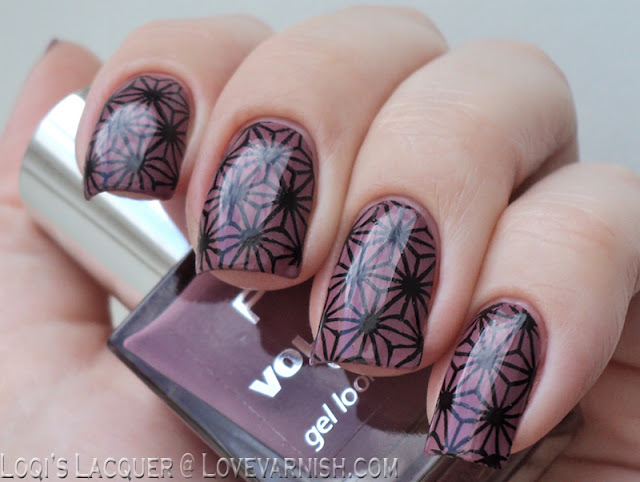 I've been on a stamping spree lately, I just can't seem to get enough. So I hope you guys are enjoying it too! 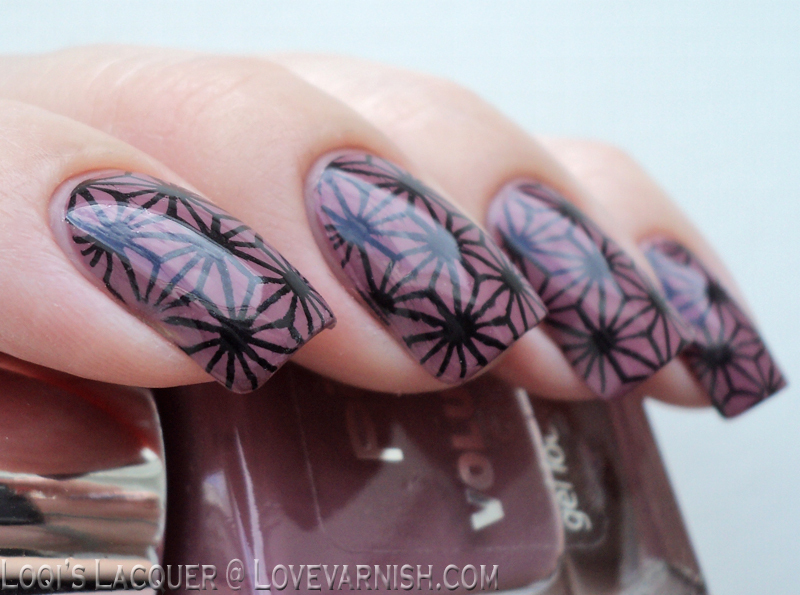 Today I'm showing you a manicure with one of my favourite kinds of colors! So the color I'm taking about is what some people would call a grandma colour: mauve. I can't help it, I just really love how it looks on me. Not just on my nails but in my make-up and clothing as well. So when I saw this polish,Young Miss from P2, I just had to pick it up. The rest of this manicure is kind of self explanatory. 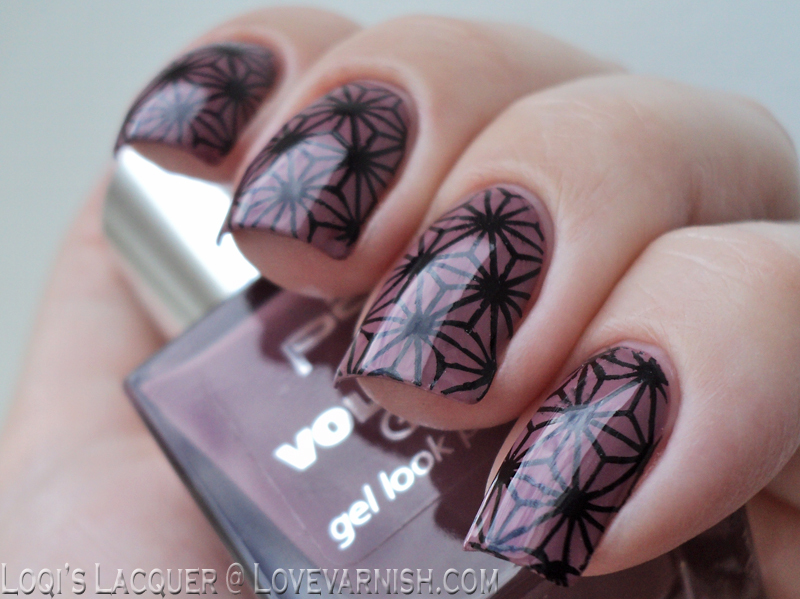 I just used Konad Black and a Moyou London plate do do some stamping and topped it off with topcoat. So shiny! I hope you guys like it and see you next week!